To say that this blog update is a little overdue might be one of the biggest understatements of my career. A lot has happened since the last post. I have now officially transitioned into the position of the Director of Operations here at Elcona and we have hired Ryan Cummings as the new Golf Course Superintendent to fill the void that was left when I took my new position. 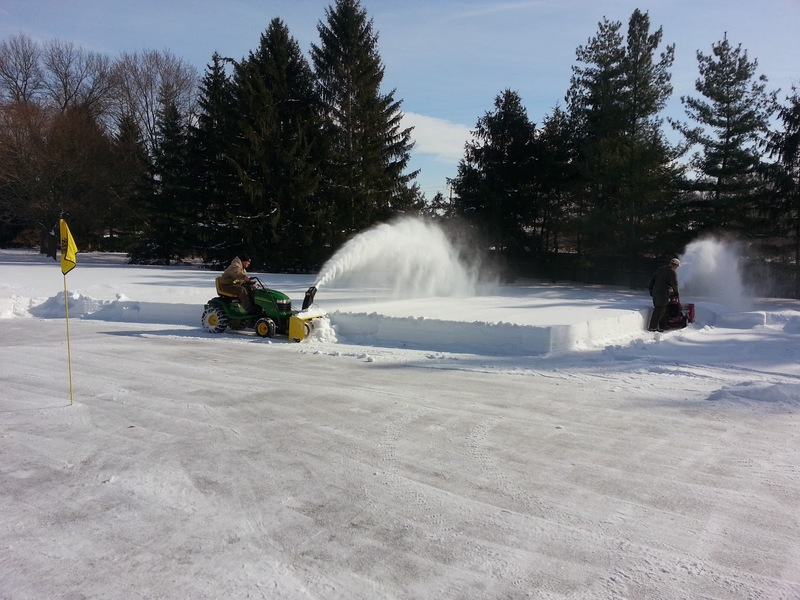 Ryan was a former Assistant Superintendent here at Elcona and was most recently the Golf Course Superintendent at Plymouth Country Club. At this time, I won’t provide all of the details regarding Ryan as I know he will be providing you with all of his information shortly via email and a blog update. Having said all of that, this will most likely be my final blog post as I turn the blog over the Ryan to provide you with updates that you have been accustomed to. I trust that all of you that venture to warmer climates are keeping up to date with the winter that will never end here in Indiana. I can assure you, you aren’t missing much. The members that reside here year-round can attest to that. 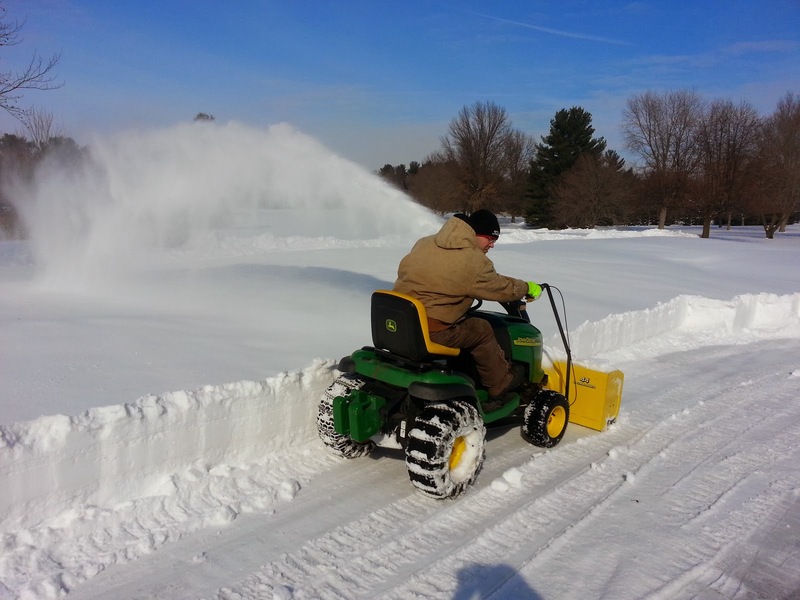 This week the Grounds Department began clearing snow from all of the greens on the golf course in anticipation of a warm-up that is coming next week. 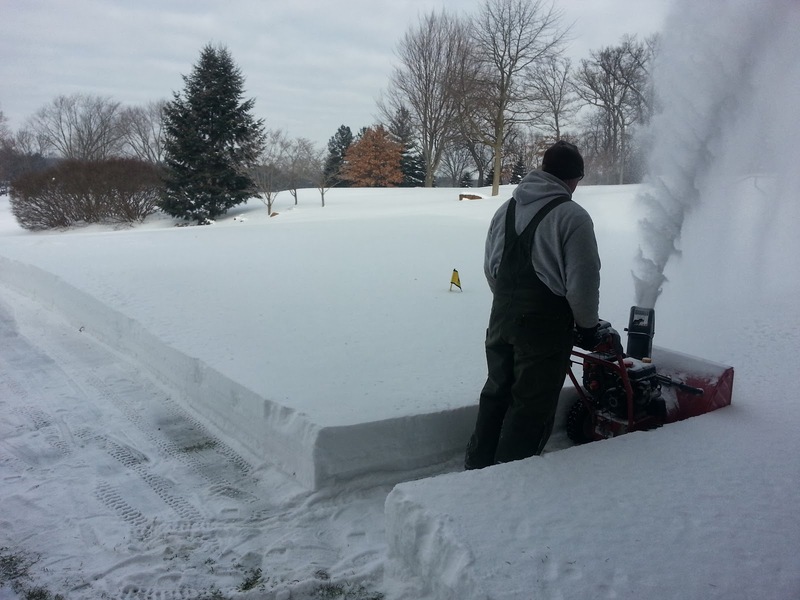 Historically we have not done this, but this year it is necessary because of a 1/2″ layer of ice that has formed directly on top of the turf on the greens. With our greens being primarily composed of Poa annua (Annual Bluegrass), we have a very small window of how long we can allow the ice to remain before we are at risk of losing turf. 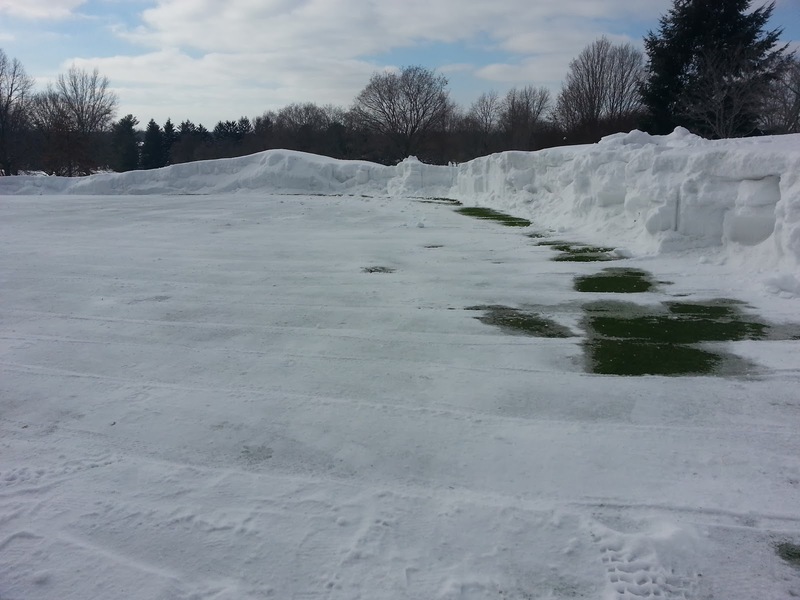 Research has indicated that once we get beyond 45 days of cover, the turf can begin to suffocate and possibly die. As of today, we are hovering around day 40 or so. It’s not a guarantee that the turf will die once day 45 comes, but we don’t want to take that chance. Several other factors come into play once the ice is removed, but given the time frame we are working with, removal of the snow/ice is our best and safest option. Click on the picture below for a larger view. 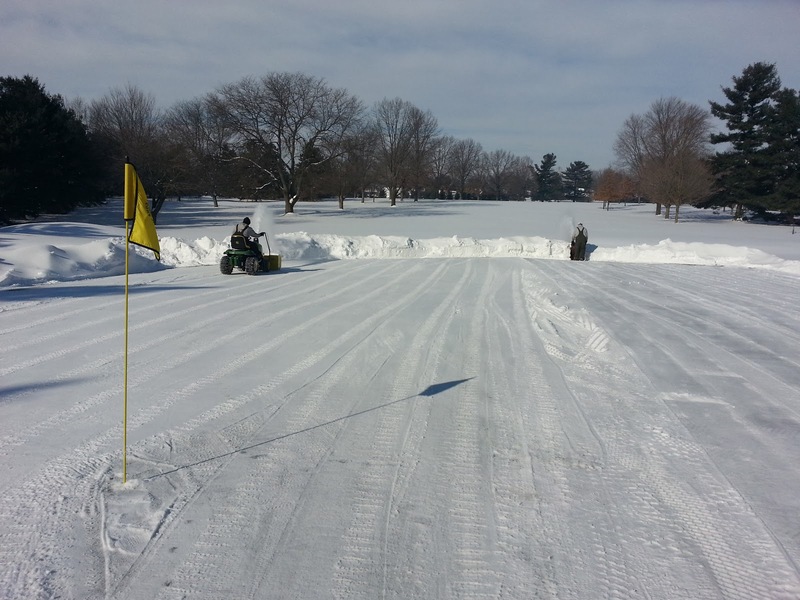 I have included a link here for you to read if you would like some more information on ice covered greens. Several sample plugs of turf have been removed from many of the greens and brought indoors to see how they react to warmer temperatures. Based on how the plugs break dormancy will give us a good idea of what to expect when spring arrives. 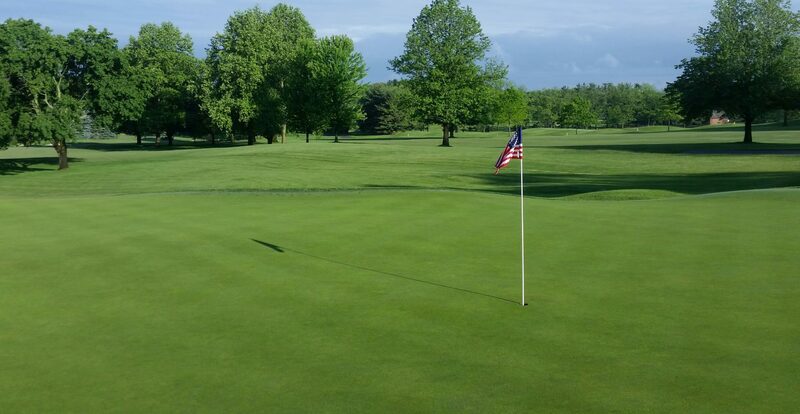 At this point, the greens look good and there is no reason for concern, but the weather conditions after the ice thaws will also play an important role in spring conditions. We’re certainly a long way from being in the clear, but all signs point to everything being healthy. Going forward, you can expect updates from Ryan on how things are progressing and you can certainly continue to ask me as many questions as you would like. The blog address will remain the same, but the profile information will be updated with Ryan’s info since he is now the primary contact for all things occurring on the golf course. Please reach out to him and welcome him when you have the chance. We are fortunate to have him and I know he is excited to be here. He can be reached at ryan@elconacc.com. As for me, stop on in and say Hello whenever you have the chance. Enjoy the remainder of your winter and lets hope that the end is near.